Ensure that UNICEF has the facts right about Israel’s policies in Judea, Samaria and Gaza, and encourage the UN children’s fund to maintain its support for an important electricity project. The EuroAsia Interconnector Ltd. is the official project developer for the European Union of a 2,000-megawatt electricity interconnector between Israel and Europe via Cyprus and Greece. In a statement, the developer says that the EuroAsia Interconnector is a leading European Project of Common Interest (PCI), labeled as a European Union “electricity highway” connecting the national electricity grids of Israel, Cyprus and, Greece through a subsea cable. It bridges Asia and Europe by creating a reliable alternative route for the transfer of electric energy to and from Europe, says the company. However, UNICEF is under pressure from an entity which calls itself the Palestinian BDS National Committee (BNC) to drop its support of the project. BDS is an acronym for boycott, divestment and sanctions movement promoted by anti-Israel activists. In spreading accusations of war crimes against Israel, the BNC’s arguments are factually incorrect. The Jewish State has actually been working with the UN to improve living conditions of Arabs living in the Gaza Strip who are themselves under the control of the Hamas terror group. 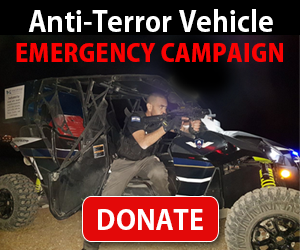 Israel faces terror attacks both from Gaza, from where it withdrew in 2005, and from the “West Bank” (Judea and Samaria), where the ruling Palestinian Authority encourages individuals to become terrorists through financial incentives and incitement. BNC harps on UNICEF’s role in helping children around the world, saying that “the organization has widely documented how Israel’s illegal settlements deny Palestinian children their basic human right.” The well-documented truth, however, is that Israel goes beyond the requirements of international law in ensuring that innocent civilians, adults and children alike, are not harmed in counterterror activity. On the other hand, Palestinian terrorists have been documented as using innocent adults and children as human shields to fend off Israeli acts of self-defense. Thank UNICEF for serving as a “proud supporter” of the EuroAsia Interconnector project and urge it NOT to succumb to BDS lies! We are honored to thank the young men and women of the IDF who risk their lives to protect the citizens of Israel. 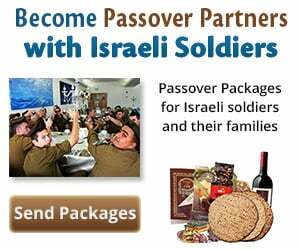 Join us in sending Passover food packages (and personal notes) to needy Israeli soldiers and their families. Bring Passover joy and blessing to the heroes of Israel who defend our freedom every day! 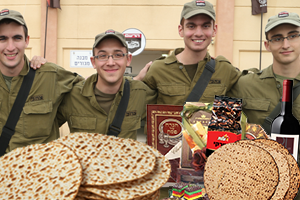 Many soldiers spend the Passover holiday with needy families back home. The soldiers greatly appreciate your love and concern. 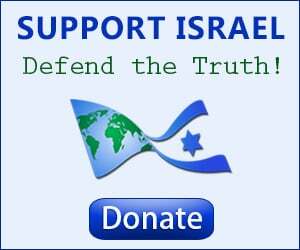 CLICK HERE TO SEND YOUR PACKAGE AND NOTE TO ISRAELI SOLDIERS!